Spacious Pet Friendly Home with access to Community Pool & Tennis! 4 Bedroom /2.5 Bath single family home with garage available for seasonal rental in Southampton. 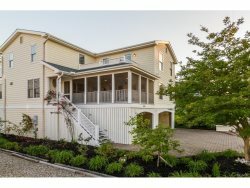 Located within minutes of Bethany Beach, this home offers access to community pool & tennis as well as a great pond view from the back deck. Central AC, washer/dryer, microwave, dishwasher, 3 TVs, VCR, Stereo, 2 DVD players, local telephone service, and charcoal BBQ are all standard in this comfortable home for 8 people. No smoking! PLEASE NOTE: Deep pocket sheets are needed for the King Bed, and the 2 Twins are Extra-Long.